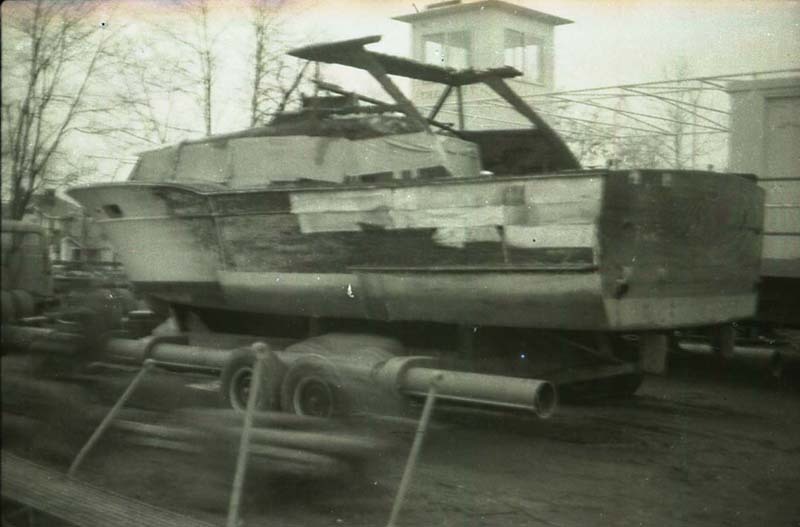 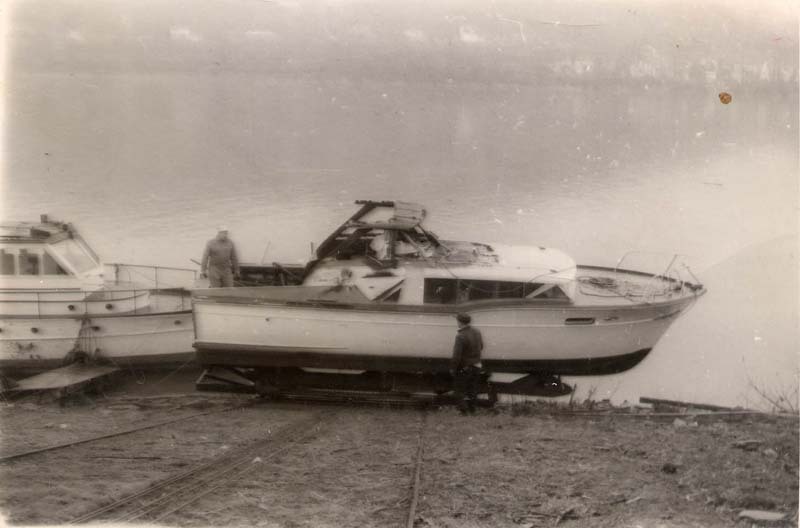 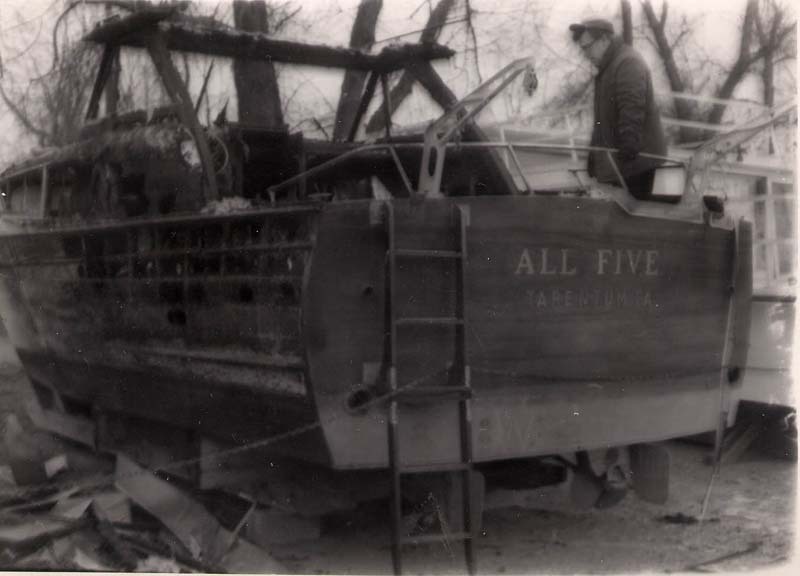 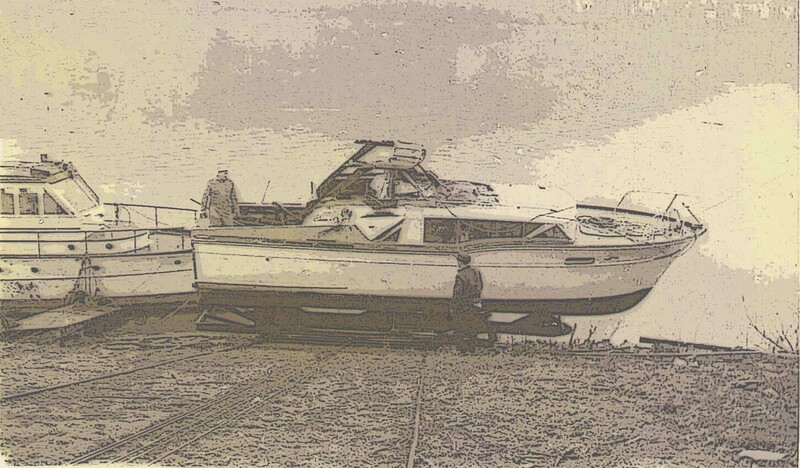 The boat just after a fire while in winter storage. 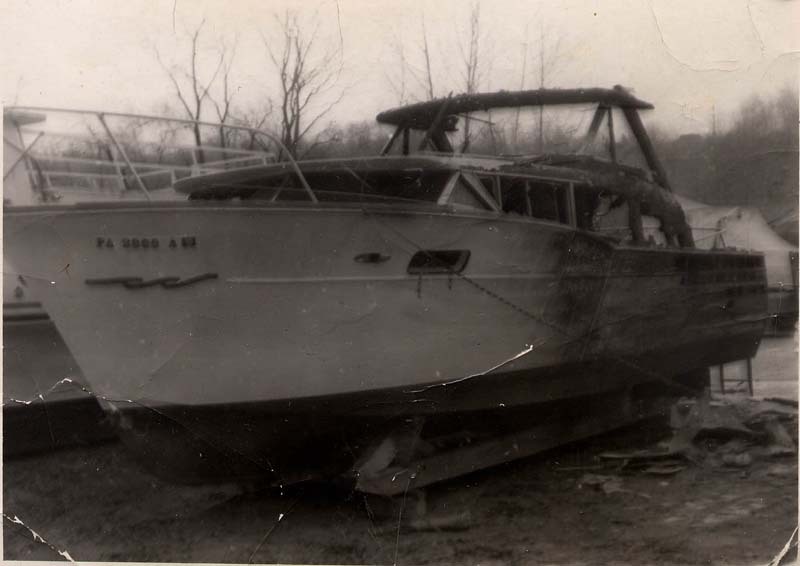 The boat next to this one was an arson. 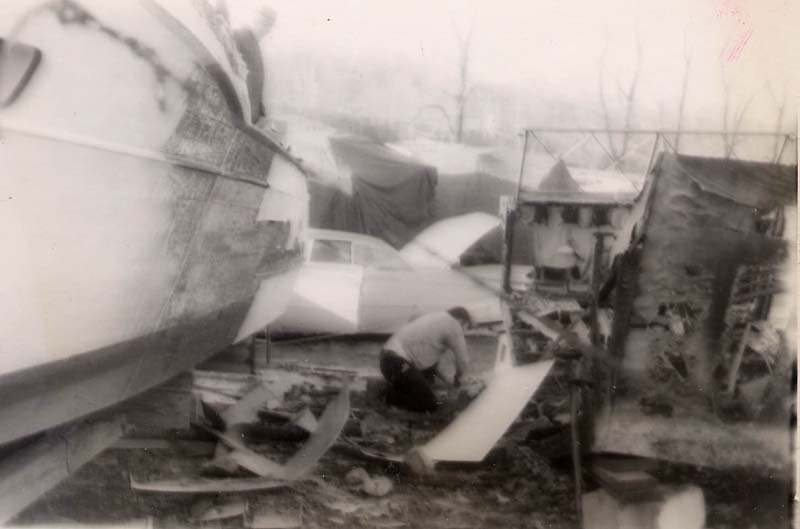 It was a complet loss. 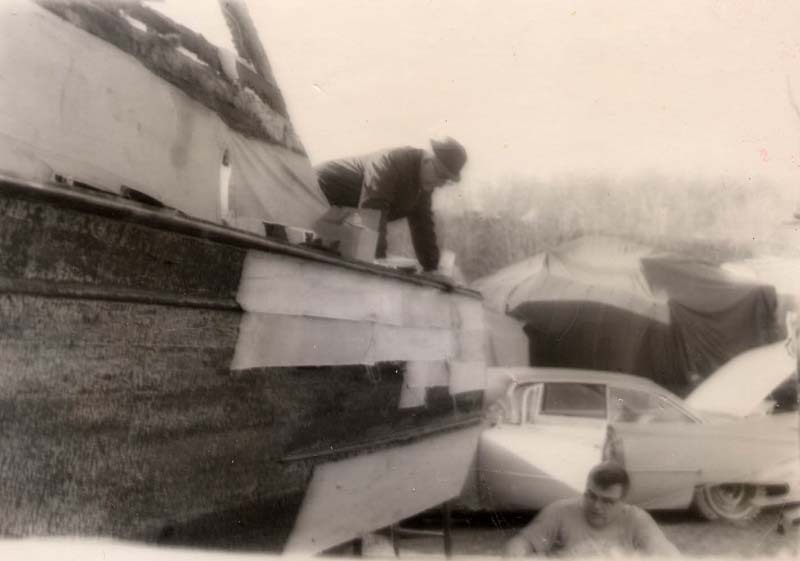 Starting on temporary repairs to make the boat movable. 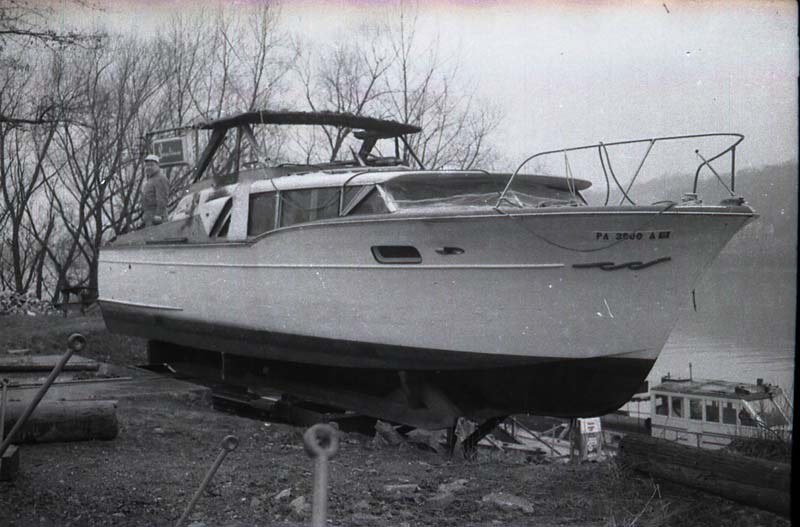 The marina owner was worried that the boat may collaps when lifted with straps As far as the soundness of the boats lower hull, it was very solid. 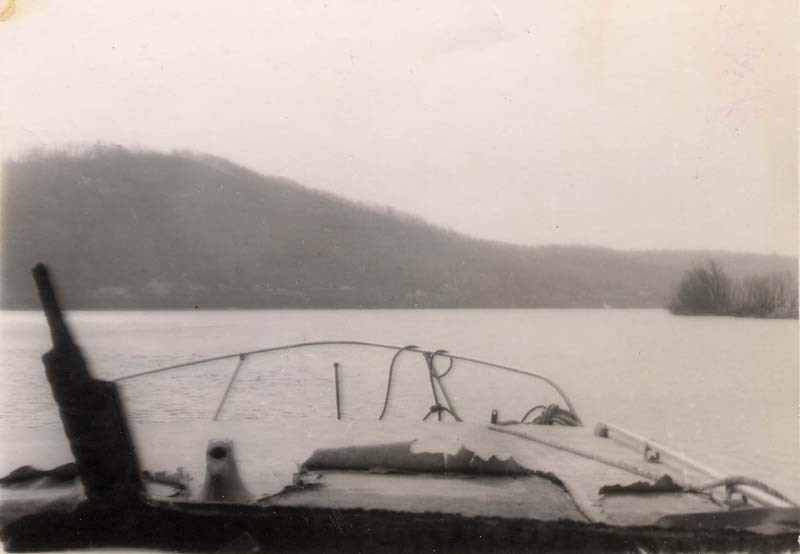 On the Allegheny River, February 1969. 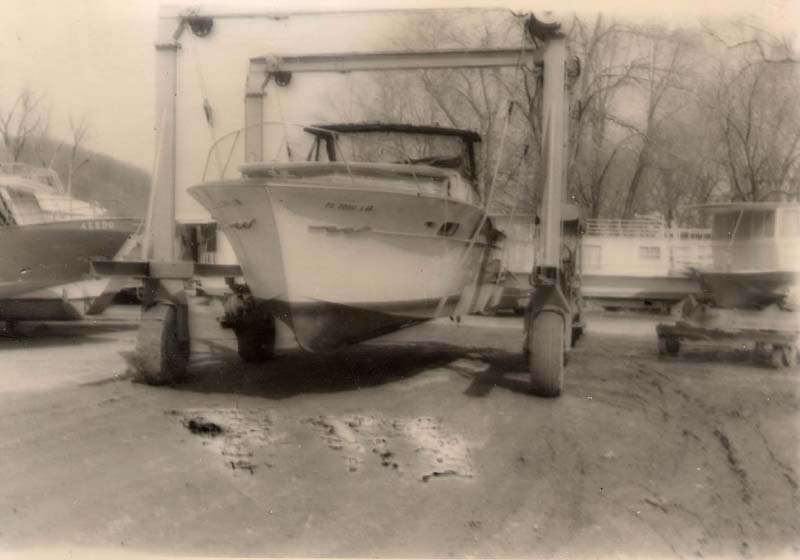 After making the trip down river some 25 miles with the temporary repairs. 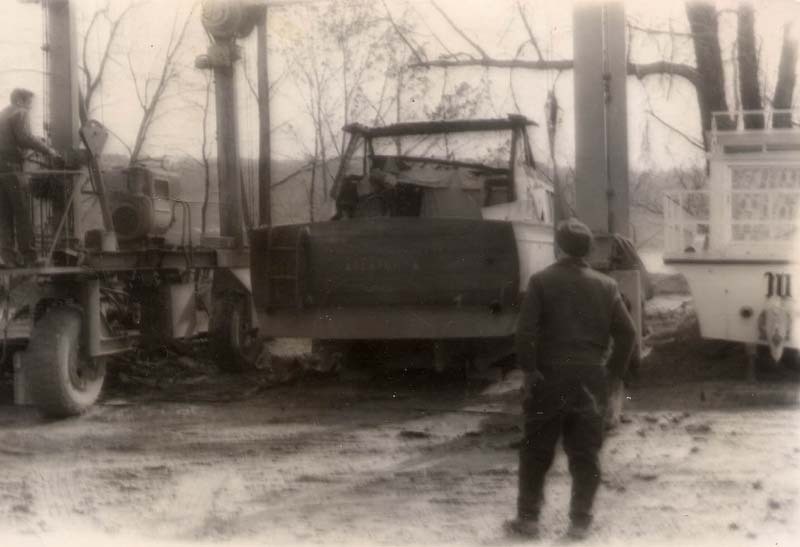 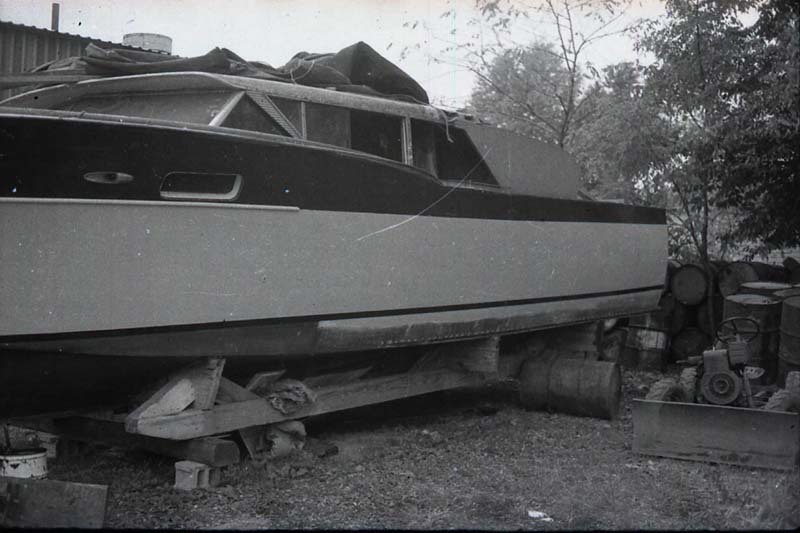 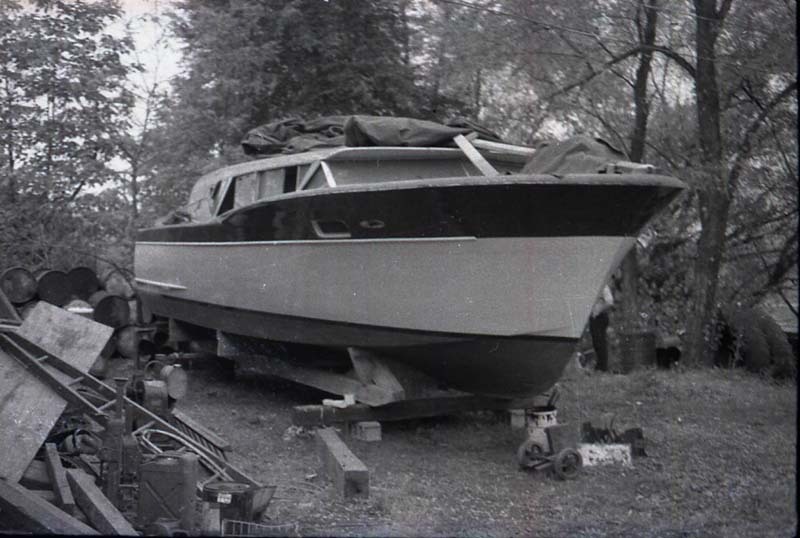 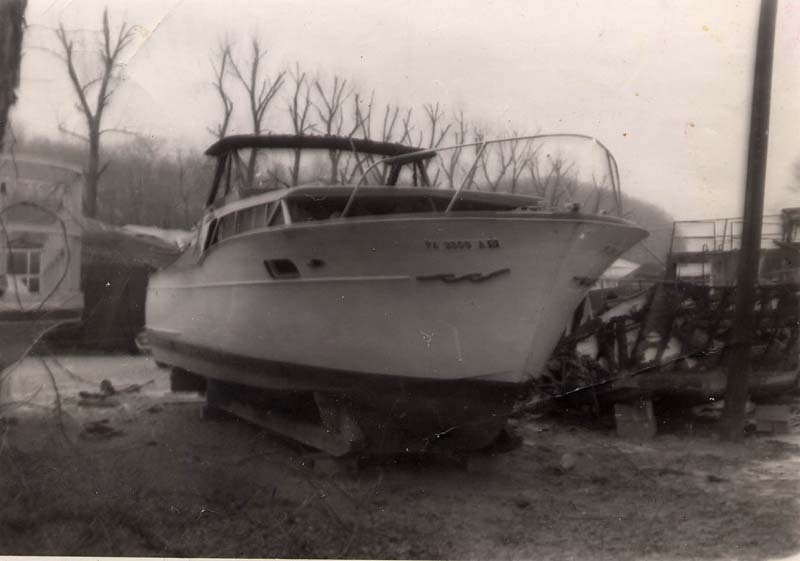 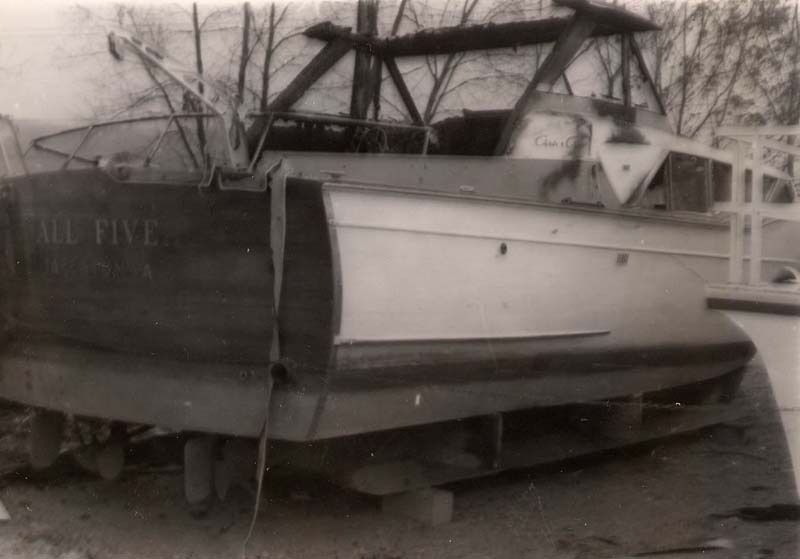 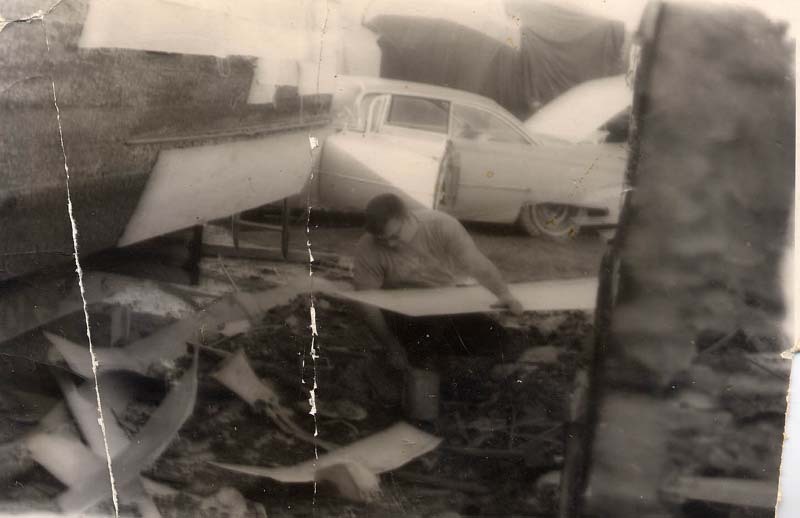 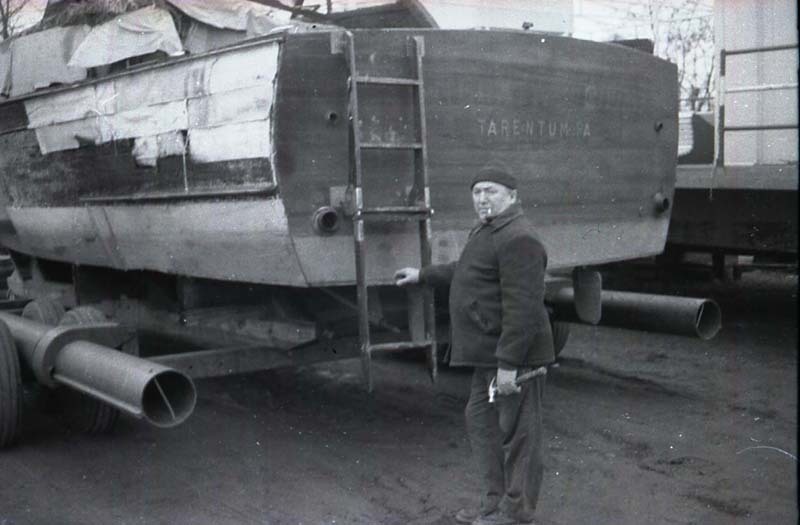 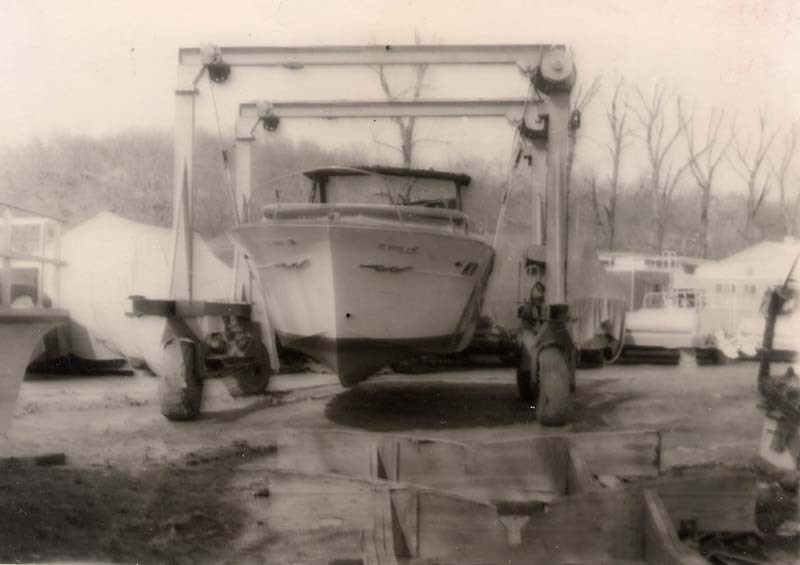 The cruiser on the marina rail-way of Valley Marine in Coraopolis, PA.
Much of the new plank work installed, 1970. 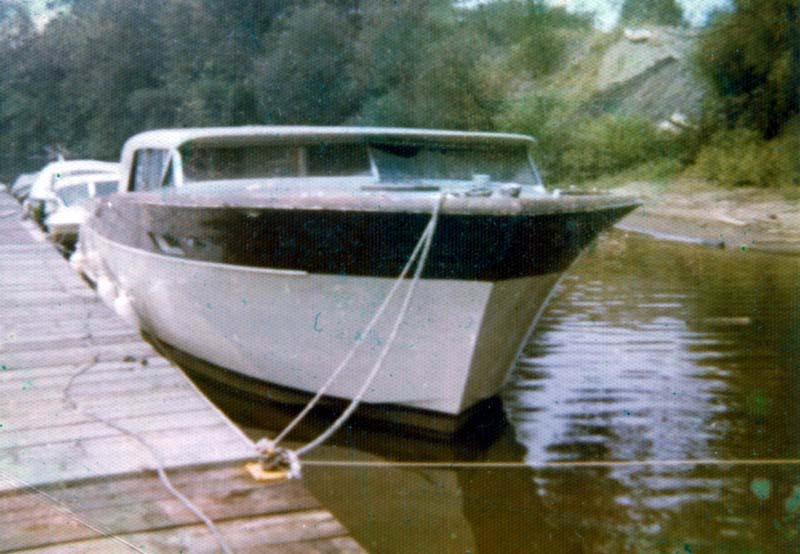 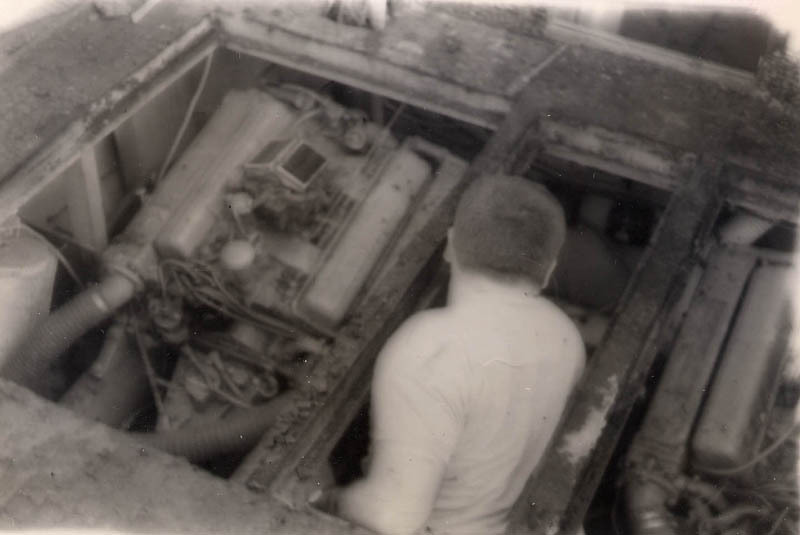 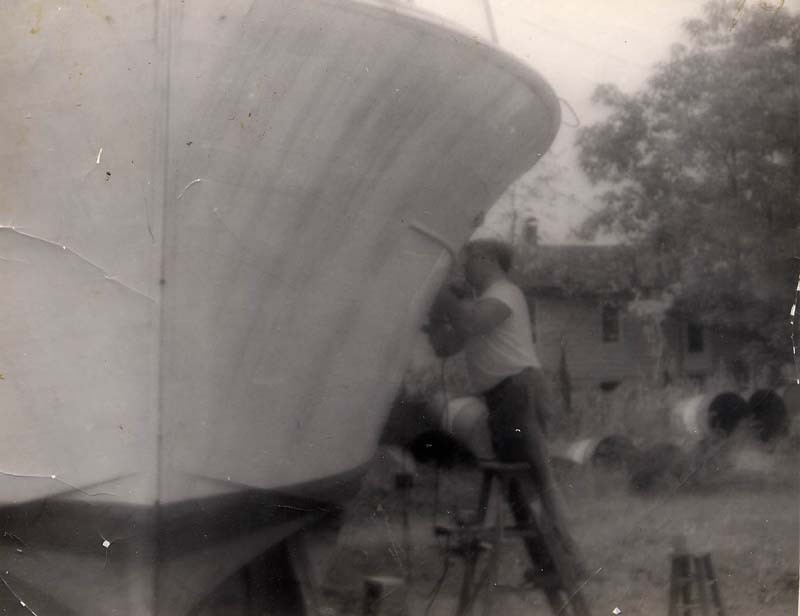 Hull work just about complete, summer 1971. 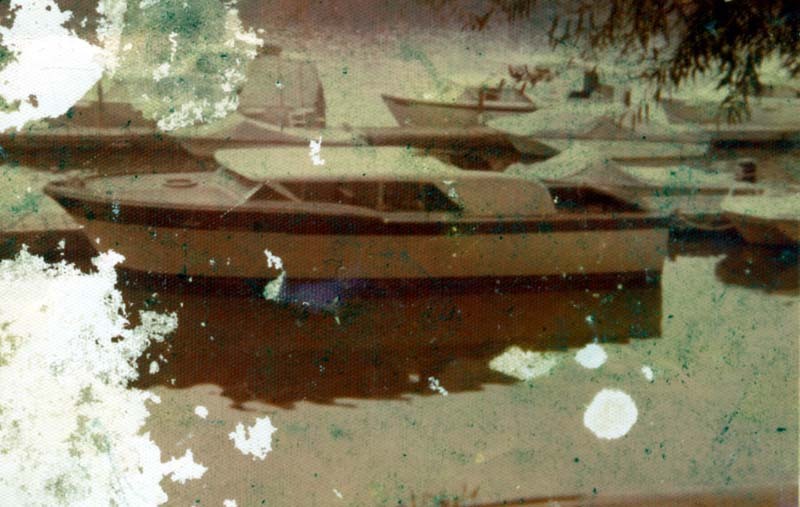 In the water summer 1973. 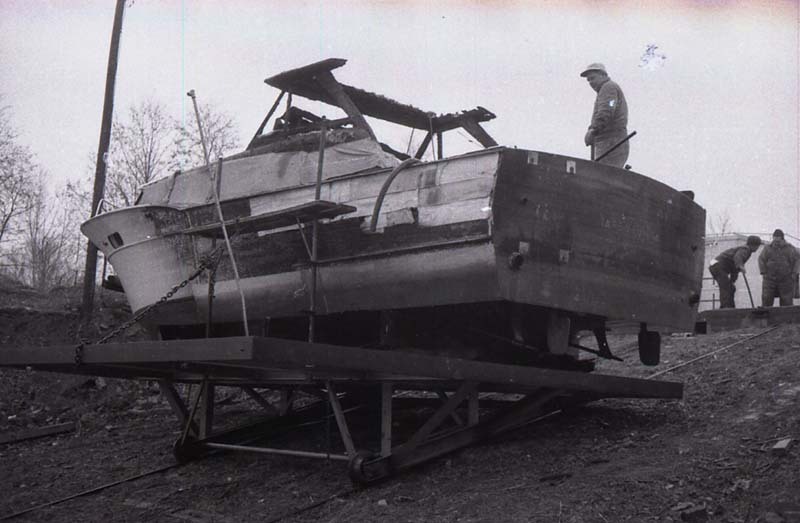 Note the fly-bridge was never re installed. 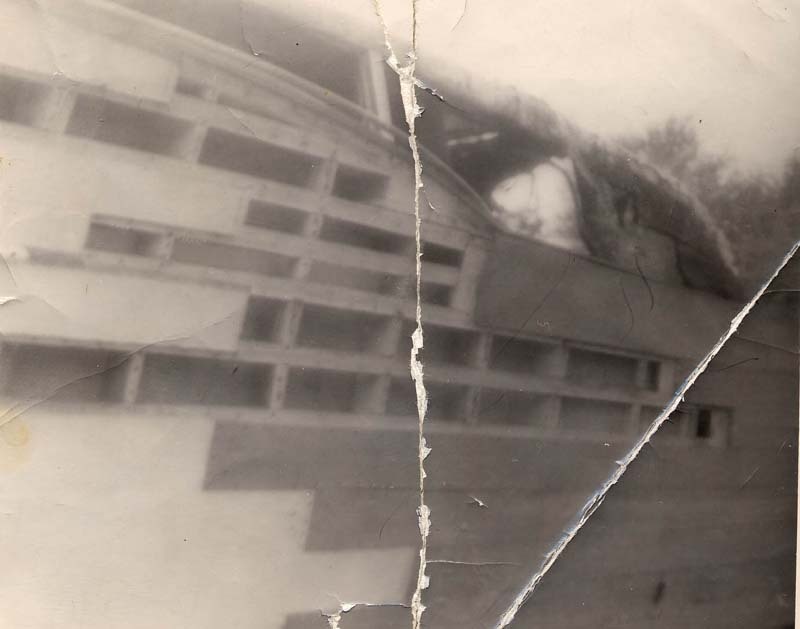 Damaged photo.